Abba's Agnetha Faltskog is preparing for a comeback, after a break of more than eight years. The 62-year-old is working alongside Swedish songwriter Jorgen Elofsson, who has produced songs for Britney Spears and Irish boy band Westlife. Faltskog pursued a solo career for a few years after Abba split in the early 1980s, but disappeared from the music scene for most of the 1990s. Her last album, My Colouring Book, was released in 2004. Abba gained international recognition after winning the Eurovision song contest with Waterloo, in 1974. The Swedish stars went on to become a pop phenomenon spawning numerous hits, including Dancing Queen and Gimme Gimme Gimme (A Man After Midnight), until their split in 1982. In total, the group sold around 370 million records worldwide. 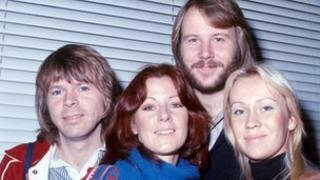 Earlier this week, it was announced that a museum devoted to Abba will open next year in Stockholm. Backed by former band member Bjorn Ulvaeus, the museum will feature some of the band's glitzy stage costumes, instruments and other mementos. Visitors will also be able to sing along to Abba songs alongside lifesize holograms of the group.